The weeks leading up to a general election can be a very difficult time for a community. Opinions are strong. Emotions can be elevated. And, there is often so much at stake, that frankly, sometimes we’re not very kind to each other. That dynamic is not lost on me. As the editor of a news organization, I am not exempt from those type of experiences. In fact, I can make a case that dynamic is intensified for me. This past week, engagement on our website reminded me of that fact. First of all, I want to remind you all of my position when it comes to elections. I have never attempted to use my professional position to influence the outcome of an election and I don’t intend to start doing so at any point in the future. I don’t believe it’s the role of a journalist to do that. 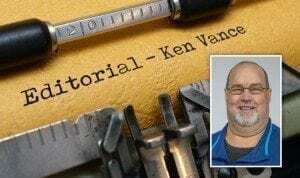 I was stunned and appalled after a recent election when the editor of another news organization in Clark County pounded his chest in a boastful attempt to take credit for the failure of one candidate to gain re-election to a position. I don’t make endorsements of candidates. I don’t even report endorsements of candidates by other elected officials or organizations. I was trained in election coverage by Marvin Case, the former owner and publisher of The Reflector Newspaper. When I worked for Marvin as a reporter, at his instruction, we would go to great lengths to make sure we treated each race and each candidate equally. For example, we wouldn’t run a photo of one candidate unless we ran the photos of each candidate in the race we were covering. We would measure the number of words, or column inches, on each story to make sure each candidate in a race was getting equal coverage. At ClarkCountyToday.com, we do the same thing. We try to provide our readers with as much information as we can. Thankfully, there are candidate forms and other events that provide us access to the candidates in each race. We also attempt to conduct our own interviews in the key races and I’ve been very pleased by the willingness of most candidates to grant us access when we have requested it. As far as the type of engagement I referred to earlier in this column, I can’t control who chooses to submit a letter to the editor to us or what candidates our letter writers endorse. In a perfect world, we would receive the same number of letters in favor of each candidate, but that seldom is the case. Same goes for comments on the stories posted on our website and social media. I can’t control who decides to engage with us and who doesn’t. I will tell you that I don’t believe it is my role as editor to edit or filter that engagement by our readers. During my tenure as editor of The Reflector Newspaper and now in my time at ClarkCountyToday.com, I believe that I have been consistent in the way I’ve dealt with reader engagement and response. And, from the feedback I get from all of you, I think the accessibility to the conversation at ClarkCountyToday.com that results from my treatment of your submissions and engagement is as open here as it is at any other news organization in Clark County. At The Reflector Newspaper, our policy was no more than one letter from an individual per quarter year. Here, at ClarkCountyToday.com, I try to only limit it to one per month. Also, I repeatedly hear from letter writers that their submissions to other news outlets are not published for various reasons. Very seldom do I not publish a submission I receive here at ClarkCountyToday.com and very seldom do I hide a comment made by a contributor. My tolerance level is pretty high. As long as you don’t attack someone personally, use offensive language, or make ridiculous claims, your letter or comment will likely be published, whether I like it or agree with it or not. It’s my goal to welcome everyone to the conversation, regardless of their ideology or personal opinion. Fact-checking is a hot button issue when it comes to letters to the editor. It’s not my role to fact check a letter to the editor. Sure, if someone makes an outlandish, ridiculous claim it deserves a red flag. And, like I said, if it gets personal or defamatory, I won’t publish it. But, letters to the editor, or Op-ed pieces, are clearly labeled on our website as “opinion’’ pieces and it is your job to decipher how much credibility the writer deserves. I’m not going to do that for you. Any concerns with our policy or practices, feel free to engage and join in the conversation. If you want to keep it private, email me at ken.v@clarkcountytoday.com.